Take your popcorn to the next level with this Spicy Popcorn Recipe. 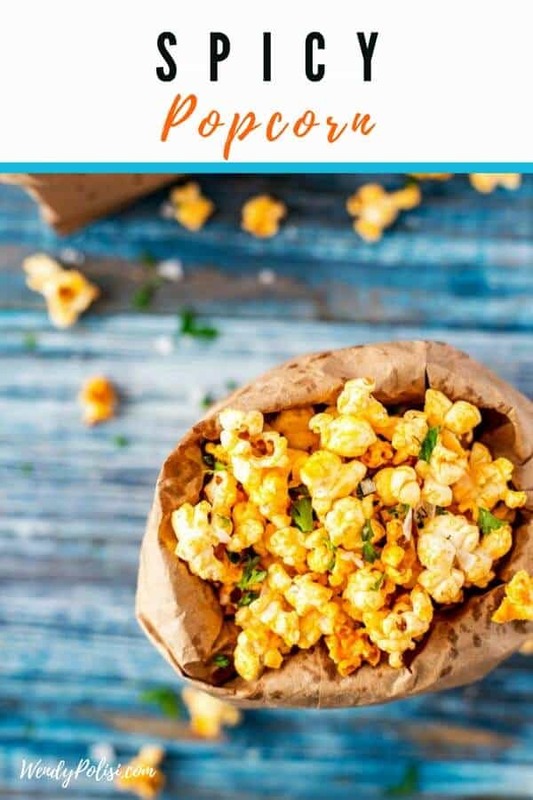 This Sweet and Spicy Popcorn is perfect for your next movie night, football party, or any casual entertaining. Confession: I spent the better part of this past weekend watching football. That isn’t a typical weekend for me, but we’ve all been under the weather. After a little time in the kitchen, spending the afternoons and evenings on the couch watching SEC football was just what I needed to recharge for the coming week. Growing up in a college town (Gainesville, FL), football has always been a big part of my life. When I was Skye’s age, I can remember not understanding why my parents got so excited by football weekends. As I got older, the enthusiasm of football season caught on. I couldn’t help but fall in love with all things football. When I was living in Gainesville, going to games was just part of life. I rarely make it to a game anymore, but that doesn’t stop the festivities. I have become very passionate about HomeGating! By Tuesday of every week, I have my football menu planned. I do this whether we are entertaining, or just planning on a party of five. (Like this past weekend.) . I can pick up everything that I need to create The Ultimate HomeGate party during football season at Walmart. One of my favorite things about hosting a HomeGate party is that it is casual entertaining at its best. You don’t need to – and shouldn’t – get fussy when you are watching football.This Spicy Popcorn Recipe is the perfect example! It only takes a few minutes to elevate your popcorn to the next level. The secret ingredient: Frank’s® Redhot Original Cayenne Pepper Sauce. Frank’s® RedHot was used in the original Buffalo wings created in 1964. I love that it blends flavor and heat perfectly. There is no 5-alarm fire in your mouth with this one! 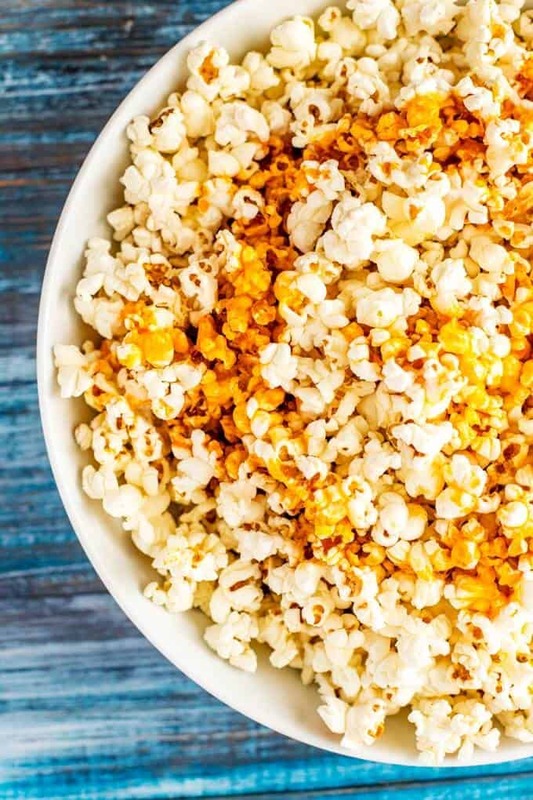 As yummy as this Spicy Popcorn is, you aren’t going to want to miss the main course! A great option is this Slow Cooker BBQ Chicken. This super-easy and super-tasty recipe is made with French’s® Classic Yellow Mustard. Another great option is Crispy BBQ Chicken Wings. Wings and football just go together, don’t they? With Stubb’s® Original Bar-B-Q Sauce, these wings are sure to wow the whole crowd. Stubb’s® Bar-B-Q line of sauces, marinades, and rubs are made right with quality, gluten-free ingredients, and contain no high fructose corn syrup. Gotta love that! Whichever entree you choose, you could round it out with this delicious Buffalo Bacon Potato Salad. 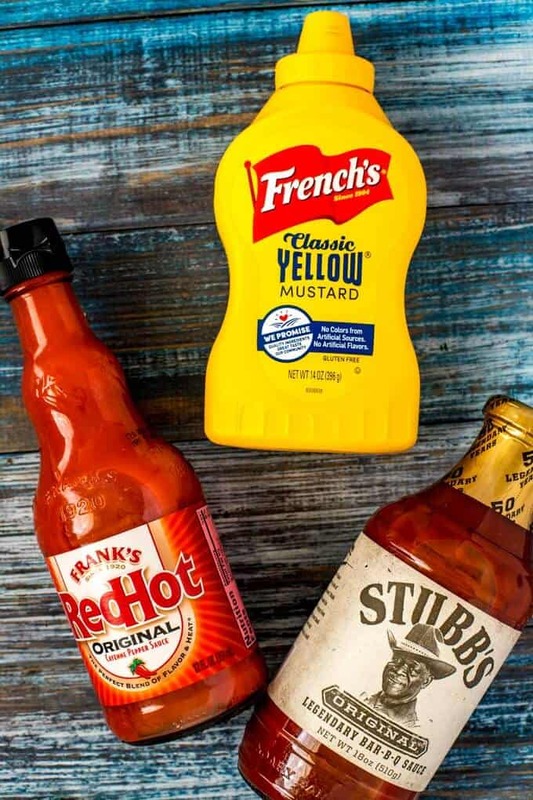 There are just so many ways that you can use French’s® Mustard, Frank’s® Redhot, and Stubb’s® Bar-B-Q to make yummy recipes that are just perfect for watching the game. 1 Right now you can visit UltimateHomeGate.com for a chance to WIN great prizes such as a big screen TV, brand new grill, and fantastic gift cards! Right now you can visit UltimateHomeGate.com for a chance to WIN great prizes such as a big screen TV, brand new grill, and fantastic gift cards! Looking for a crowd-pleasing snack that is perfect for your casual entertaining? 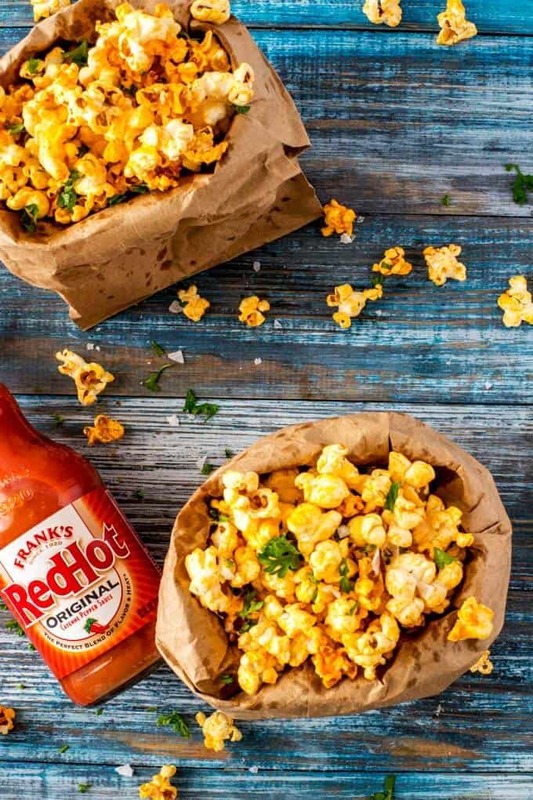 This Spicy Popcorn Recipe will be the star of your next football party. 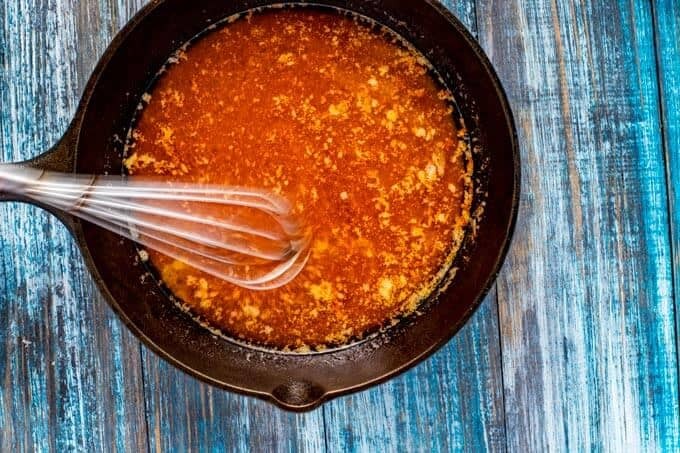 Heat the butter and maple syrup in a small saucepan until the butter melts. Stir in RedHot sauce and smoked paprika and whisk to combine. Remove from heat. Heat the oil in a popcorn maker or heavy bottomed pan. Add the popcorn kernels and cook, shaking occasionally, until the popping stops. 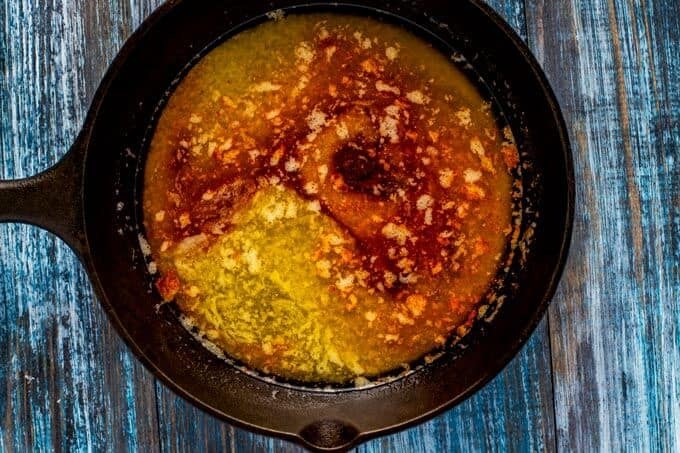 Transfer popcorn to a large bowl and toss with the RedHot Sauce mixture. Sprinkle with salt and enjoy. Make BBQ popcorn by substituting Stubb's® Original Bar-B-Q Sauce for the Frank's® Redhot Original Cayenne Pepper Sauce. Add in 1 cup of broken pretzel sticks prior to tossing with the spicy butter. Substitute honey for the maple syrup. 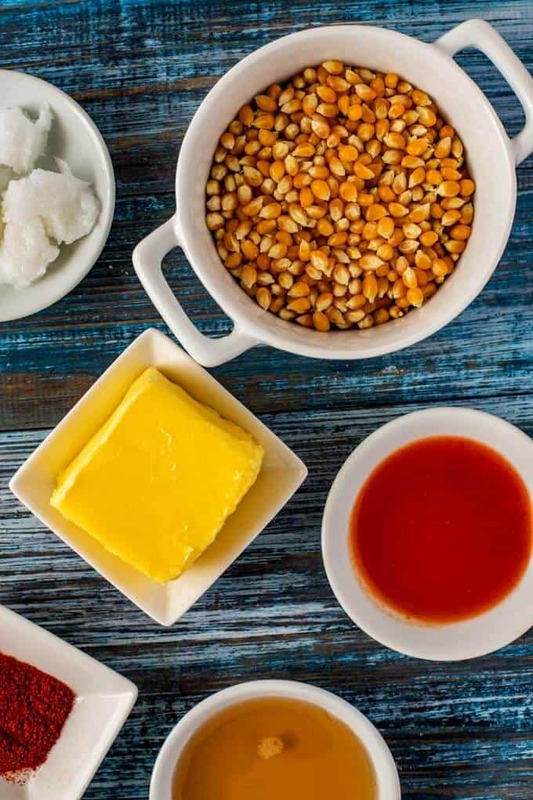 Make it vegan and dairy-free by using vegan butter. Totally saving this to try! We love popcorn and this sounds delicious! Oh yummy! I love spicy snacks/foods so this is up my alley. Have a ton of kernels I’ve been wanting to make pop so im giving this a taste. I am a huge fan of Frank’s Red Hot, It is the only “Hot Sauce” I will use. I have never thought of using it on popcorn though! Can;t wait to try this out! That is such a great recipe. 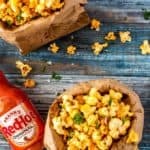 I love spicy popcorn and now I can make my own! I cannot wait to try this! This looks like my kind of snack. 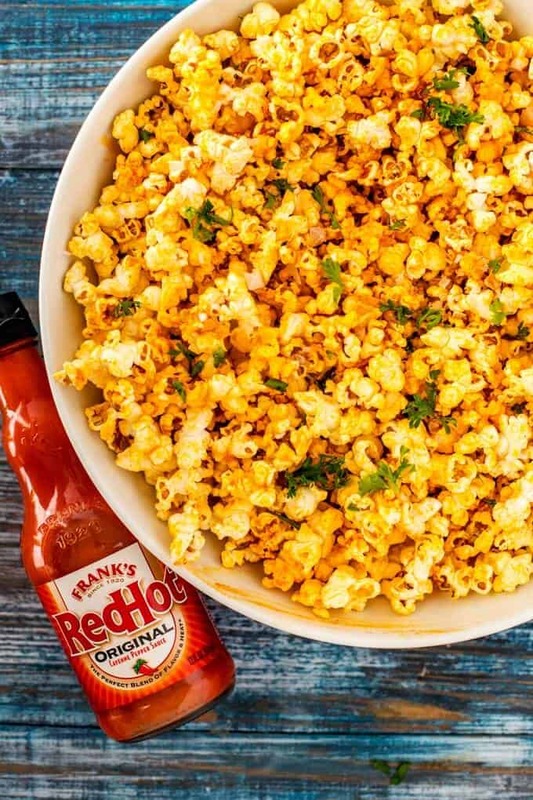 Ok, I would never have though to use Frank’s Red Hot sauce in popcorn but it sure does look delicious! Definitely perfect for a cozy fall weekend game. Omg this is exciting! I could imagine the sounds while enjoying this spicy popcorn. Now am thinking which movie should we pair for this.